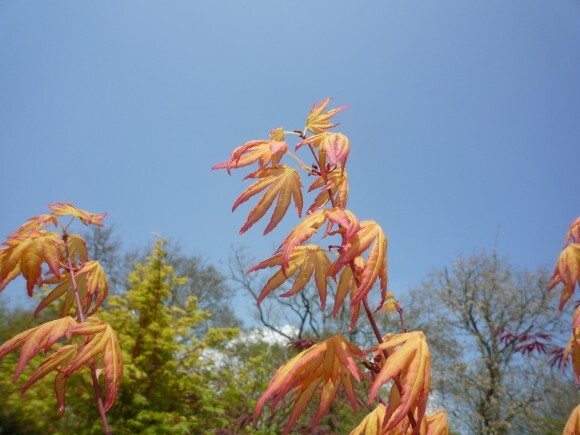 Acer palmatum ‘Orange Dream’ is a medium sized, bushy deciduous Japanese maple with an upright growth habit. 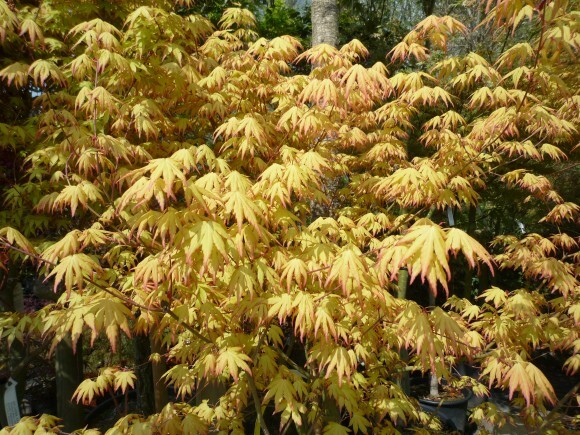 It has golden yellow foliage in the spring, which turns yellow\green during the summer months. 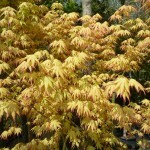 During the autumn, it will turn a spectacular orange\gold. 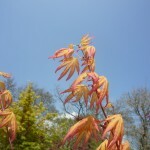 Its bark is bright green. Reddish-purple flowers may be followed by red fruits. 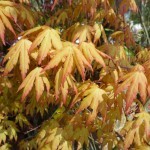 This Acer can be planted in full sun or partial shade in a sheltered position. 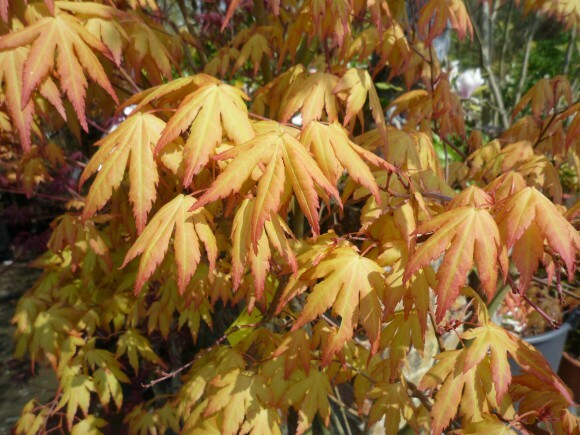 Acer palmatum ‘Orange Dream’ has an eventual height of 5m, and prefers a moist well-drained soil.